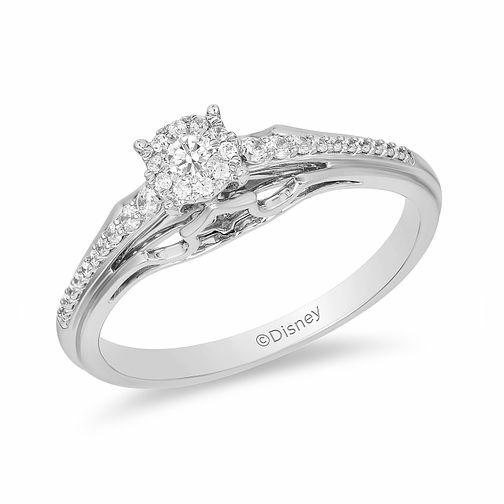 Made a magical moment with this elegant diamond ring from the Enchanted Disney Fine Jewelry collection, inspired by Aurora from Sleeping Beauty. Crafted in captivating 9ct white gold, this flawless design features a dazzling 1/5 carat of diamonds, gracing both the band and as a sensational sparkling center-piece presented in a claw setting. This chic diamond ring is not one to be slept on!